So, that's it! The Courtney Summers Read-Along is finished! I had such an amazing time hosting this event. It was the biggest blog thing I've ever done and although I dropped the ball a few times (*shakes fist at school*) I hope I did an otherwise okay job! To those of you who participated, THANK YOU! I have loved reading your comments, tweets, and reviews. I'm so glad you enjoyed the Read-Along! And for those of you that are just coming here and being like "What is this girl talking about?" 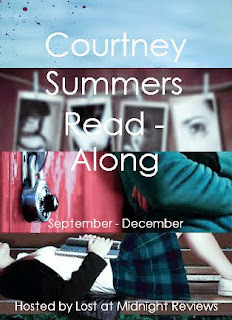 well, just click on the Courtney Summers Read-Along tab up top and you'll be directed to all the posts from the event! Thank you to my guest contributors Crimson, Christa, Melody, and Kelly. 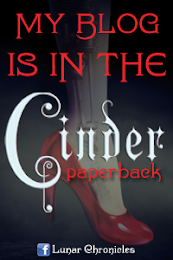 I loved getting to read your take on the books and I thank you immensely for sharing them. Also to Damon, Kelly, and Sarah from St. Martin's Press for you giveaway contributions and enthusiasm. It was greatly appreciated! Thanks to everyone who tweeted, retweeted, commented, posted, etc. about the Read-Along. Your support has been unending and I sincerely thank you for it. Special thanks to my first month co-hoster and bestie Crimson. For many many things, all of which you already know, but mostly for helping me kick off this big event. (And not yelling at me when I bugged you about it for months). And lastly, and most importantly, thank you to Courtney Summers. Your books have inspired me time and time again, more than I could possibly ever say. All your support and enthusiasm for this event honestly made me so, so happy and humbled. So, thank you for being your awesome self. And for writing beautiful books that are needed. Happy New Year, everyone! Hope it's filled with books and possibilities and happy-making things. Thank YOU for letting me share a post as part of your read along series! This has been so fun to read and follow.